LexioPhiles has just posted a page where you can vote for the best language blogs of 2009. You can vote for blogs in several different categories: Language Learning, Language Teaching, Language Technology and Language Professionals. 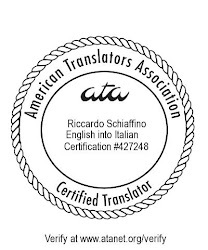 About Translation was chosen as one of the top blogs of 2008, and has been nominated again for 2009, in the Language Professionals category. I invite everybody to check out the other fine language blogs listed, and vote for your favorites.